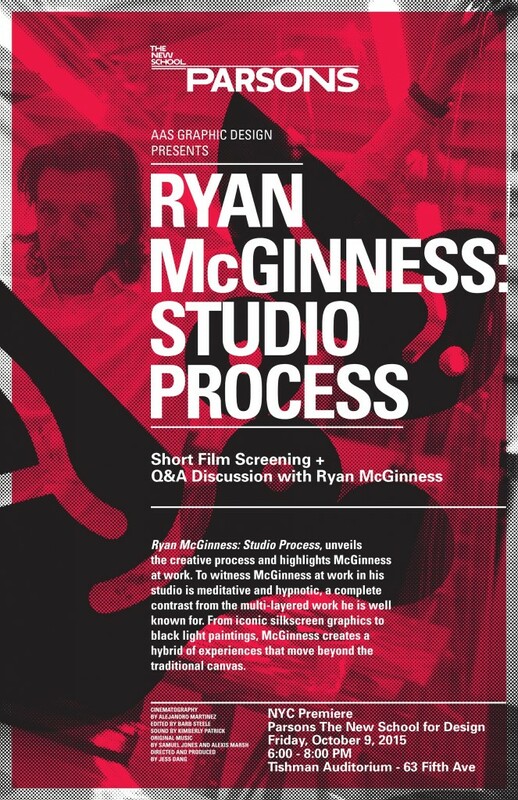 Ryan McGinness: Studio Process, unveils the creative process and highlights McGinness at work. To witness McGinness at work in his studio is meditative and hypnotic, a complete contrasts from the multi-layered work he is well known for. From iconic silkscreen graphics to black light paintings, McGinness creates a hybrid of experience that move beyond the traditional canvas.